RRS James Cook, during mobilisation, with the BGS' 'Vibrocorer' dockside. JC123, RRS James Cook, 2015. 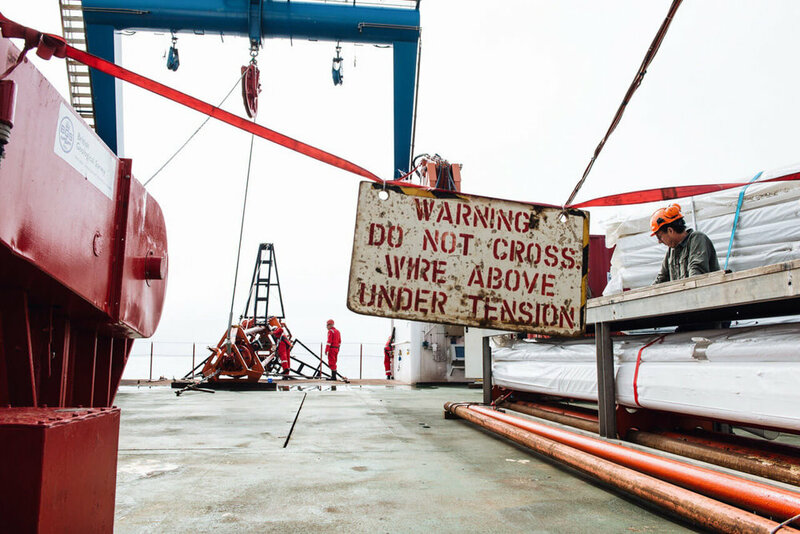 The science team jumps into action as a fresh core arrives on deck, ready for processing. In August 2014, Alex joined the team from the Britice-Chrono NERC consortium research project for leg 2 of their first research cruise. Aiming to gain a clearer understanding of the extent of the last British-Irish ice sheet, this cruise saw them circumnavigate Ireland as they cored the ocean floor in the Celtic and Irish Seas. Spending three weeks on board the RRS James Cook, the assignment was to produce a short film about the project and to document the day-to-day routines of everyone on board. Prof. Chris Clark, has a quiet moment of contemplation during a tense time for the project. In the ship's dark room, Dr Louise Callard analyses the next batch of core samples. In July 2015, Alex was invited back to join the Britice-Chrono project on the James Cook. This final marine fieldwork campaign surveyed and sampled material along three main transects in The Minch, Shetland and the North Sea (see map here). The assignment was to document the work of the crew and scientists, to create content for social media and the Britice-Chrono website and to shoot an archive of video footage for future use. This video archive was used by the BBC and STV in 2017. As the Britice-Chrono project draws to a close, Alex is producing new content for the project in the form of three short videos. RD2 Sea Trials, NLV Pharos, 2015. RD2 Deployment, NLV Pharos, 2015. 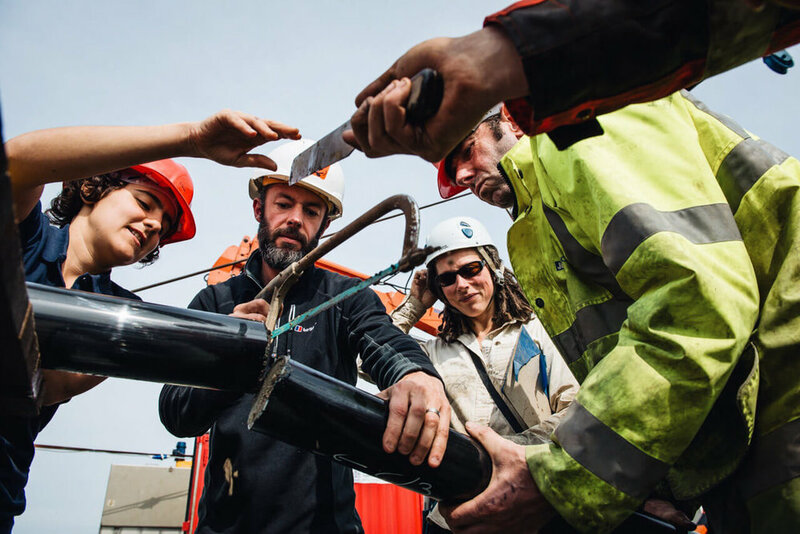 Alex first began working with the British Geological Survey on an assignment in 2015 where the brief was to document the sea trials of the BGS's flagship rockdrill. Following his two weeks on board the NLV Pharos, operating near Oban, Alex produced a promotional film, two training videos and an archive of PR and marketing material. This content has since been exhibited and published widely, from public events such as NERC UnEarthed at Our Dynamic Earth (Nov 2017) to mainstream media coverage on the BBC. The training videos are now used to brief scientists, crew and BGS staff before all offshore research expeditions, and the stills continue to be used across the BGS website and in the Lyell Centre / George Bruce Building. RD2 Control Room, RD2 Sea Trials, 2015. RD2 Sea Trials, Oban, 2015. Gary, a BGS engineer, prepares himself before undertaking an extremely delicate repair of RD2's umbilical cable. More recently, Alex has begun work on new videos for the BGS and is collaborating on multimedia training workshops for staff, scientists and engineers. Having worked with Alex on multiple projects, I have been very impressed with his work ethic. He fitted in well with our offshore team and achieved great results while being completely unobtrusive in regards to our operation. His experience of working in extreme environments was clear during these assignments - professional, efficient and health and safety aware on deck. Kangiata Nunata Sermia, Greenland, 2016. Camp, ~100km east of Nuuk, 2016. In 2016, after a couple of years of planning, Alex travelled to Greenland on assignment with the CALVE project as they studied Kangiata Nunata Sermia glacier, and the nearby fjords in southwestern Greenland. [Read more about the trip here: vs.co/cfjqOD] This unique project, involving archaeology, glaciology, and marine biology, aims to improve our knowledge of how the rate of iceberg production relates to climate change. Collaborating with VSCO, Trakke and 66North, the project involved both documentary and commercial work (both photo and video). 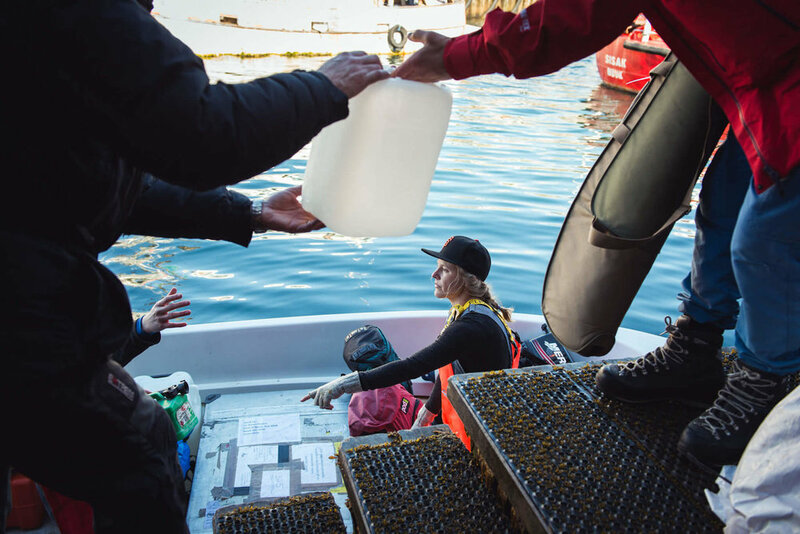 The few weeks in Greenland was spent split between two field teams – terrestrial (on land, downstream of Kangiata Nunata Sermia) and marine (working in and around the fjords in a small, open boat). Alex produced films for the project, and the University of Liverpool, as well as social media content for Trakke (Glasgow) and 66 North (Iceland).